⚓ T83551 Buildings are not a barrier to hit a target from the tank. Buildings are not a barrier to hit a target from the tank. Almost every building does not keep the shell of the tank. It passes through it. If someone tries to use the house as a cover, it will not save from destruction. If you are stopped for a building, but were already in sight, you will not be saved. It works at any distance from the building. -A 3D views give the goal arrow appears square. -Place Arrow. Make two - three shots at the upper boundary of the square. Lex set Category to Feature Request. Lex set Reproducibility to Always. Lex set Severity to None. Lex set Resolution to Open. Are you kidding, aren't you? What should be the proper behavior in your opinion? The house should stop the shell? Do you think that the armor-fly through two walls and will be saved for the flight to the tank? Head fuse stand, will not work on the wall? APFSDS will simply penetrate through the walls and hit the tank. It's a flying spear. Its the difference that APFSDTST is not explosive its a dumb kinetic arrow passing through 3 m concrete and you talk about a house with all over 50cm bricks? A russian video just for you that shows how apfsds works and why it has no detonator. 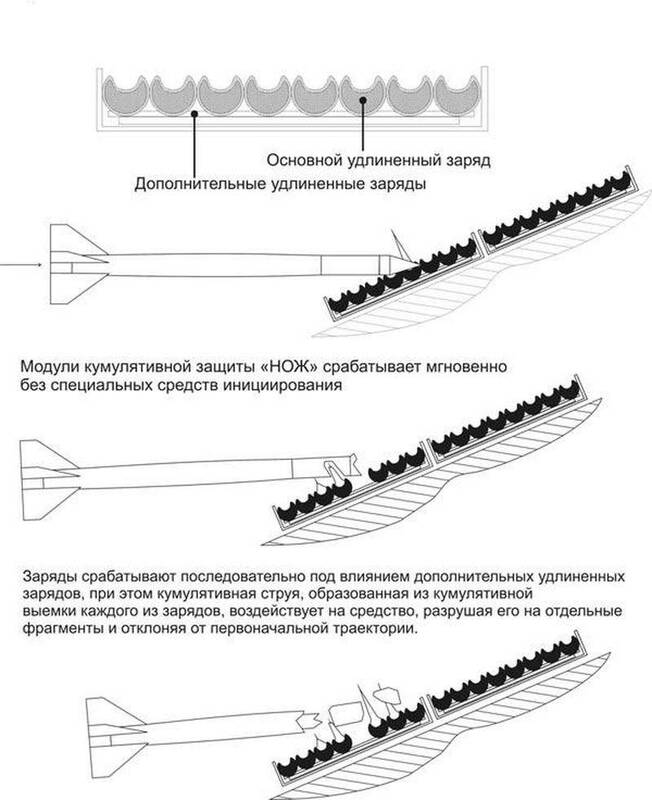 TheMasterofBlubb , one more video about "Super arrows APFSDTST"
If it is good to choose a horizontal, APFSDTST isn't deformed and on the fourth tank. More than four I didn't try to put. Thats not the topic of the ticket! You wrote a house is not a Barrier to a APFSDTST and this is so its not a bug its reality. The tanks are another topic. In game there is no influence on ballistics, there are no obstacles. On a roller with the house, on a roller with concrete partitions for impression. 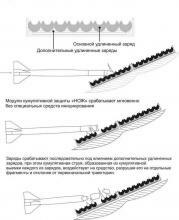 At long distances, the arrow will have some ballistic corner concerning the horizon. Even the thin wall considerably will change the direction of flight of an arrow. You simply have no calculation of ballistics taking into account obstacles, dependence on thickness of walls, viscosity of materials and many others that is capable to affect. On approach to the tank, the arrow can appear with the corner, wrong to armor. In reality of such shot you won't see and to make it you don't awake. In game of a condition for such shot are ideal anyway and in any situation. So i summarize your TICKET: You say HOUSES are not calculated in the penetration algorithm. I say THEY ARE and the arrow can be deflected. What you write in the notes: you want a realistic damage , penetration and bullet trajectory system. I ask you to show me a game that does it better than arma 3 ? I assume that you cant showe even one. What you showed in your last video is that the tanks have a weak side armour. Woow welcome to reality. TheMasterofBlubb . If I considered that other game is better than Armagh 3, my tickets wouldn't be here. If only one tank burned down, from one shot is speaks about weak armor. But this shot reached both the second, and third tank. On the first test at me and the fourth burned. It speaks about penetration of a shot, an arrow on a departure, through object capable to absorb all potential of an arrow. You have a strange position, see one, you don't consider another. I consider another position BUT your TICKET is about that apfsdst should not penetrate a house. They can in reallife they do in arma 3. The houses are calculated fully in the penetration algorithm. So this TICKET can be close. What you actually want is a FEATURE what should have a FEATURE REQUEST in this tracker. This is not a bug because the engine in its current state works like it should. So let this ticket get closed open ANOTHER TICKET with a FEATURE REQUEST an a realistic ammunition and ammunition effects simulation. PS: i would expect the answer:"this is out of scope now"
My ticket is very squeezed, concerning that as it can be realized in game. In Armagh 3 there is a system of defeat of equipment through buildings? Means criteria have to be declared, can even examples in virtual training of game. I only declared not compliance of that as it looks now. You want that I would make calculations, taking into account as well as what obstacle have to influence a trajectory? I am not the programmer of ENCORE studio. Give the reference to video or article as in reality there is a search and capture by the purpose tank behind an obstacle or construction, and defeat of the purpose through a wall. Theoretical imaginations in drawings , bench tests of arrows, not to offer . Lex first of all use another translator. The other thing is i feel like you are not reading the notes people write you. I will summarize your ticket in its current state: The ticket is about a BUG that when you fire at a house you can kill a tank behind it with APFSDST. So this is not a BUG. I hope you agree! The current system calculates the trajectory by taking in count velocity mass density and thickness of obstacles hit angle and gravity. What you write in your notes is a goddamn FEATURE REQUEST. So you understand what i want ? I want you to open a FEATURE REQUEST ticket where you write everything you want in your ammo simulation.And NO dont change this ticket to the new one that will confuse the devs. "you talk about a house with all over 50cm bricks?" The majority of houses in Altice made of stone, not brick. At least I ran the tests with a stone building. I agree with Lex, simulation of projectile-penetration in the game is completely missing. When projectile hitting a wall, no exist any noticeable effects. The projectile flies, as if the house does not exist in general! If the projectile penetrates through the house, then we need to show it. Particles effects should be, for example flying stones or bricks. Even if the projectile can completely penetrate a stone-building, it needs to few change the flight trajectory(randomly) But this detail again missed! Even if the projectile can penetrate two stone walls, the damage-effect of the such hit should be reduced by 40-50%. I ran the tests and did not notice, that I needed a greater number of hits to destroy the tank. There was no any difference! In the game is not realized these details, thus the modelling of building penetration in the game is completely missing. I dont know if you guys mention that almost everything you are talking about is already in the game??? The buildings ARE calculated with taking speed from the projectile and giving it a random trajectory at every wall. 60-70%penetration rate? ?are you crazy? There is a 9kg heavy arrow coming in with about 1500m/s ? That are more than 1MJ !!! This thing has so much energy it penetrates the house completly and still would have enough energy to penetrate a tank from the side. @mickeyman visual effects are nor the topic of this ticket but yes they are missing. Where i agree is the stone buildings should deflect more but its not the topic of the ticket. @Lex i agree with you that an arrow maybe cannot penetrate a tank after flying through a house because its deformed etc but thats not a bug its just not in the code. So this for example is part of a advanced ammo simulation. I'm not crazy;) If the projectile gets into reinforced column, + second colum, + inner wall, + the second outside stone wall, then he will not be able to penetrate it thoroughly! Maybe not 30%, but at least 20-15% shells should not pass through stone building. So must be some not insignificant percentage of not through-penetrations. "visual effects are nor the topic of this ticket but yes they are missing"
"Simulation of penetration of the tank shell is bad" or other. For exampe Battlefield has a great destruction of buildings. ARMA is not capable of that! Do the developers not able to create at least splash effect stones? Let these items will be implemented also! 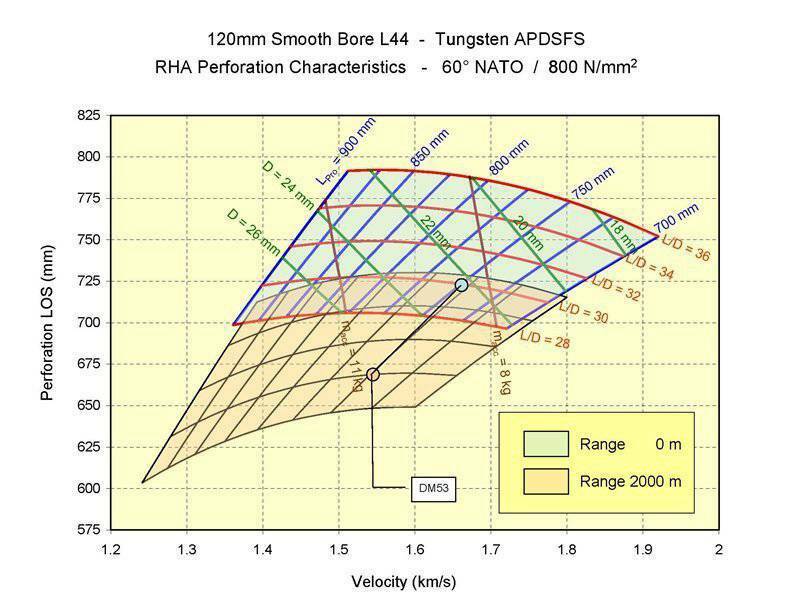 Ammo DM63 (not the best of the world but standard for the Leopard 2A5) RHA penetration rate on 2km is 62cm at 0° and 72cm at 60°. That means a Kuma can penetrate another Kuma on 2km without obstacles by hitting it from the front (not turret). Test this and test it again with a building in front of the target tank (to prevent the projectile flying away). @mickeyman i almost agree with you the arrow will always penetrate just the question where the trajectory will be. The houses are deflecting all bullets same for rifles and tanks. Just the arrow doesnt care so much thats why i said especially the stone buildings should deflect more. But thats a general question what to do with that. Battlefield is not ARMA. The effects like i said are missing just like many other. I would prefer the effects plus some small damage whenn some one is nearby. Everything else is there deflection reduction and riochet. -there are almost no visual effects. Stone buildings should deflect the bullets more. -APFSDST should break inside a tank or when reaching 80-90% of its maximum RHA penetration rate. And the thing with the penetration needs to be tested (like i said 2 or 3 note ago). "The effects like i said are missing just like many other. I would prefer the effects plus some small damage whenn some one is nearby. Everything else is there deflection reduction and riochet"
Battlefield is much smaller and has not such a complex engine and still has more bugs and glitches than arma 2. And yes destructable objects are nice. Just watch the VBS 3 trailer there are destructable houses the only question is when will BI give most of the VBS3 features to ArmA.Just a matter of time. "when will BI give most of the VBS3 features to ArmA"
OK tested on 2km you have a slightly chance of destroying a kuma with one shot in the front. behind a house you need atleast 2 shots some times 3 because the bullet gets deflected into the tracks. So everything is correct with the penetration. @TheMasterofBlubb interesting info. Probably this effect can be is only at large distances. 2 km to target? (Kuma) or 2 km to building, which was before target? The trajectory of the projectile was does not changed? Shooter was on the Altis airfield and the target was north on a field behind a stone house. 4 times tested in this position 4 times switched positions. Tested with a friend to adjust aiming to hit the hull all the time. Deep blow out of the tank, a deep insight into the texture - this must change. Could you explain what the last video is showing? I though we had found a conclusion on the problems and facts? @TheMasterofBlubb The bullet goes on a departure, from the first tank. Makes critical damages on the second. In the last episode, the second tank has even exploded before the first. At the beginning of the ticket, there is video where one shot kills three tanks of Kuma. How you believe, there is a probability of flight of a shell on a departure via the tank? APFSDST should break inside a tank or when reaching 80-90% of its maximum RHA penetration rate. That requires a more advanced simulation of submunitions. When the front of a leopard is 62cm RHA equivalent for kinetic ammo you can think that the side will be at 30cm approx. That means (not including deformation and self destruction) the arrow would penetrate the tank on 2km sideways and fly out on the other side. Not one 125 mm cannon on this planet is not able to destroy the tank through the other tank. This is undoubtedly an error of BIS. Video provided by @Lex does not need comments. Unfortunately, the BIS is in no hurry to correct their mistakes and most likely in tanks DLC we will still see it, along with jumping tanks. I won't speak about angles of attack, it is other criterion (important too). I won't speak about dynamic protection, it is other criterion (important too). The best indicator of a katana of penetration into a reservation ~ 250-300 millimeters became (25-30 centimeters). It outside possible penetration via all case of the tank. Shot at a distance ~ 3000 m. Again through penetration through a tank body. Yes! and is this is the main problem of this ticket! Ok do you know the armor of the T100? And maybe the Penetration values of the 105mm Merkava cannon? i couldnt find them, thats why i use the Kuma / Leopard as a reference. I was talking that the thickest armor of the Leo 2 A6 is 620mmRHA equivalent. The Kuma is the heaviest tank in Arma( and best armored) so i assume the T100 will have less armor. If a Kuma can penetrate a Kuma(through the frot armor) on approx 2.5KM, it should also penetrate a T100 ( from the side) on 3km or am i wrong. Try to find th real life counterparts of the tanks and their ammo. Then try to rebuild that sitiuations in Arma. This is not Battlefield so you can use the real values of the tanks and compare them to what is in arma. Isnt that the same constellation? you see 1 bullet getting delected and 1 penetratimg through the roof (that is even less armored then the side? Could it be that you hit the top of the tank or maybe the turret? Maybe try the Bullettrace script so you know where you hit. @TheMasterofBlubb Thanks for council for a script occasion. All tanks pass bullets as a cardboard. T-100 had the best result, - through a body there have passed two arrows. The second body - critical damages. Slamer - through a body there have passed four arrows. The second body - critical damages. Kuma - has passed six arrows through a body. The second body - critical damages, has burned down. About the tank and its protection. I'm not watching this problem, Sometimes I see a ricochets! But I'm using ACE3. Maybe that's the reason!? Tank shells no longer pass through the houses. @mickeymen its more about complex simulation of ammo types used in tanks. I do not see any changes in this issue at 1.76 and 1.77. Rounds penetrate the material as before. Ricochet of the projectile occurs (in some random way *) on the walls and surface of the tank. In a frontal attack on the tank, the round does not penetrate beyond it. In a cross-beam attack on the tank, all rounds penetrate and are capable of inflicting repeated damage on another tank in the shadow of the first one. some of them penetrate, some of them ricochet. Regardless of whether there was a ricochet or penetration, the damage from a round hit is the same. 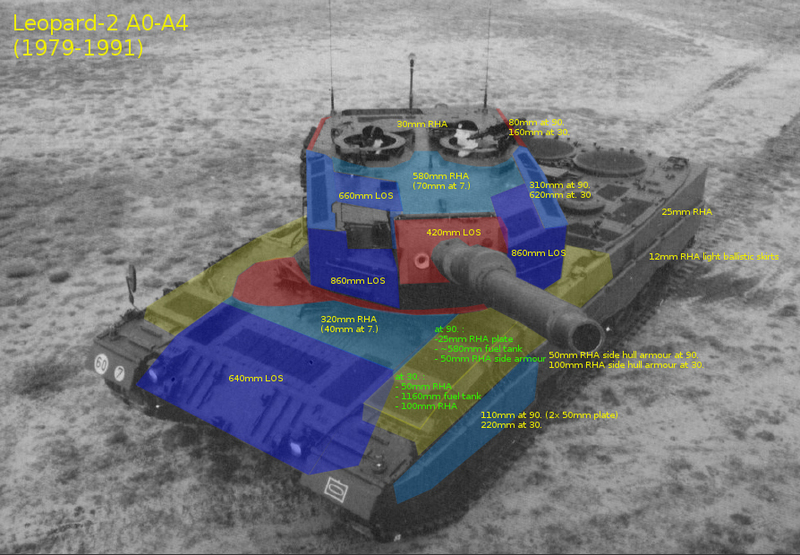 @Lex if you have read some post earlier where i mention the amount of penetration vs the amount of armor you would see that even on 2 KM a APFSDST round CAN penetrate a tank(ignoring the fact that it would deform etc. we are talking about the system as it is in Arma right now.) and can kill another tank. But as i said we are talking about the mathematical point of view. Interesting fact: some bullets didnot penetrate and did not do any dmg. BTW dmg on hit is calculated by Coefficient of the bullet times left energy on hit. You are talking about the mode of setting in the game, that you can adjust the number of rounds that can disable the tank. I'm talking about the penetration of rounds into the body of the tank. The round penetrates through the tank, and hits all HitPoints on its way. This is completely unacceptable, since there are a number of physical processes in which APFSDS is destroyed in the first layer of protection and armor. At the exit from the first obstacle, APFSDS has a small residual kinetic energy and a distorted physical and geometric state. }In the tables of characteristics of different APFSDS, it is said about the ability to break the thickness of one layer of monolithic (or homogeneous armor), taking into account the distance to the target. Ricochet,is a rare phenomenon for rounds of the APFSDS type, but sometimes it happens. In my video there is an episode where the blow to the tank was with a rebound, but HitPoint is painted in dark red. The game does not have a wide scale of damage in terms of severity. Damages are almost always medium or heavy, because they always penetrate through the effect and the ricochet is taken into account. @Lex as you now understood what i was talking all the time. THIS IS NOT A BUG since there is no such system in the game. THIS IS A FEATURE REQUEST for such a system. What you are talking about is simulated in arma by submunition functions. That is not present on APFSDST and was never present. Did you now understand what im talking about? Or need i to explain more. For this reason I created an e-ticket. The distance and force of penetration of the round into the materials are not taken into account. They easily penetrate into the material, they pass through many layers of material. I understand that there is no other system for recording damage on machines. But a ticket stating that obstacles on the way to the goal, in the form of houses, walls do not create an obstacle. Houses and walls should produce more bounce or reduce impact speed. In the game, any wall or house takes damage and does not absorb a significant portion of the impact energy. After that, the tank takes damage, as if there was no obstacle in the way of the strike. Just like Hitpoint does not reduce the impact speed, and the impact penetrates all Hitpoint on its way. Houses and walls should produce more bounce or reduce impact speed. The main review in this video is about the penetration of textures through materials and a look at the dependencies. ok i try to calculate that. I think that it is impossible to break through the tank and leave a through hole from the bullet, on the opposite side from the entrance to the tank. The tank projectile will work on the first counter layer of armor and will not be able to complete the work further. The geometry, weight, and trajectory of the tank projectile will be disrupted, the kinetic energy is lost. The tank inside is not empty, a lot of equipment will also take a blow and help reduce the energy reserve of the impact. You can not expect to hit the next layer of armor, saving the initial data of the round. 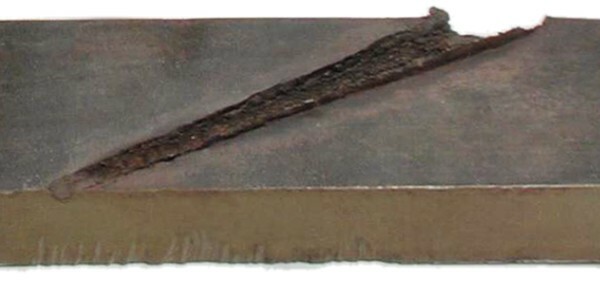 The temperature of the initial strike that occurs on the first layer of armor will remain on the first layer of armor. On the next layer of armor, the residual energy of the round can not create conditions for repeated equivalent work. I agree that the round is capable of penetrating the claimed 300-600 mm armor in one armor block. The method of summing up the thickness of layers is not suitable here. For this reason, the initial conditions for the performance of work, broken before contact with the armor of the tank (passage through the walls of buildings) can greatly affect the ability of the bullet to perform work on the armor. Lex set Operating System to Windows 7.